A couple years ago I travelled to the Netherlands to attend Floriade a year-long horticultural expo where visitors are treated to wildly creative displays that are both visually stunning and hugely informative. Visitors can “learn about nature and find out just how important flowers, plants, trees, vegetables and fruit are in our daily lives.” It was my second time visiting the expo, which only happens every 10 years, and I was hugely impressed both times by the passion the Dutch have for horticulture. Now a group of passionate Landscape Ontario members, led by Tim Kearney in Ottawa, have been trying to convince our own government to host an International Horticultural Exhibition called Flora Canada 2017 right here in Canada as a celebration of Canada’s 150th Anniversary in 2017. 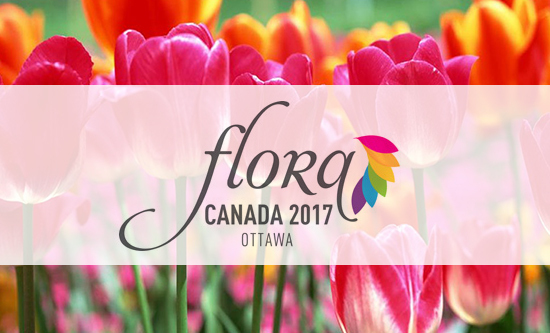 Flora Canada is planned as a 4-month-long flagship event celebrating Canada’s floral and garden diversity. It will be a world-class celebration of the value of urban gardens and natural landscapes. It will also be a catalyst for the long-anticipated creation of Canadensis – The Garden of Canada, a National Botanical Garden located in Ottawa. Flora Canada 2017 will be an exciting opportunity to showcase Canada’s skills and achievements in horticulture, not to mention a platform to bring attention – and business – to an industry that is all about bringing the many benefits of plants and landscaping to our lives. Will you help raise awareness for this world-class event? Please take a few minutes to send the attached letter to your MP. Thanks!